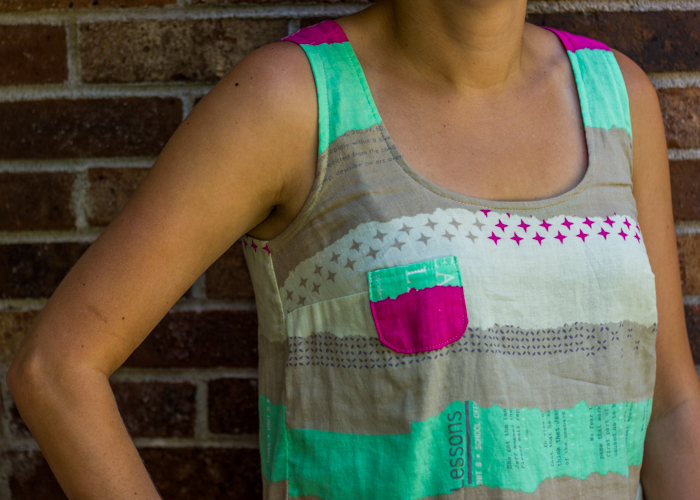 I’ve made a few tiny pocket tanks (this chambray+art gallery one from last year is one of my faves) and wanted to make another one for this summer. I picked up this cotton+steel double gauze for a steal at pink castle fabrics (looks like they’re sold out of this one now, sorry) when they were running a 40% off apparel fabrics sale earlier this year. 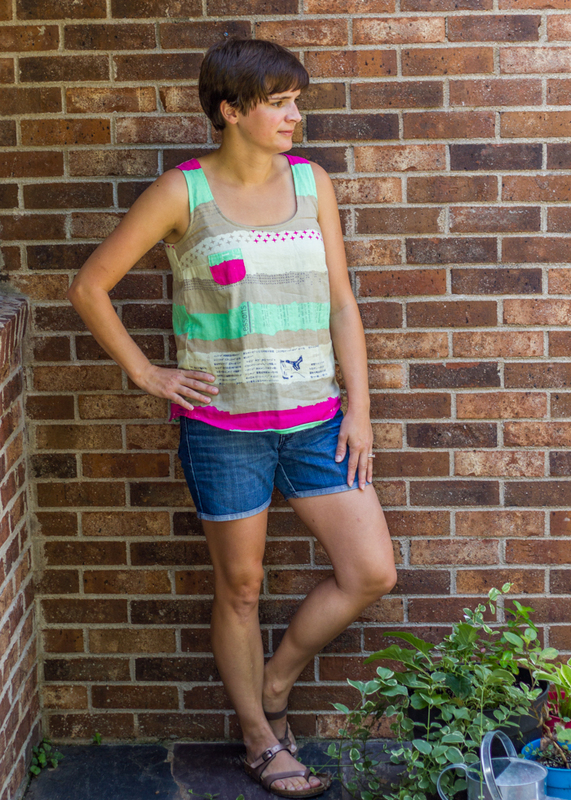 I knew this would be the perfect fabric for a summer tank as it breathes so nicely! 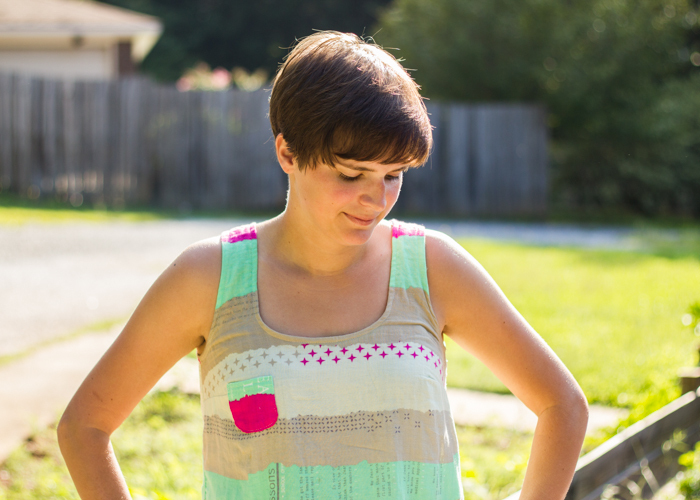 I made the tank (pattern- tiny pocket tank) in a size 8 but angled the back pattern piece over the fold about 1/2″ at the top- gradually angled down to nothing mid-way down the back- because I remembered that I’ve had shoulder gaping with this pattern in the past. I ended up taking out too much width as it’s a bit tight across my shoulders, but still wearable- especially after I wore it a few times and stretched out the double gauze a bit. I actually made this tank at the beginning of the summer and just now got around to taking pics of it. I do so love how cool and breezy it is. I’m never 100% sure that these types of flowy shirts are flattering on me because I feel like the billowing around the waist makes me look bigger than I am, but I still like to wear them because they are so comfy. I did end up taking the sides in about 3/8″ starting right below the bust to the hem to take a bit of the width off. Basically I have an 8 in the top and grade it down to between a 4/6 in the hips. I just can’t get enough of all the cotton+steel lines and I love that they are producing fabrics in so many different substrates. Makes it so fun to try more and more garment sewing. 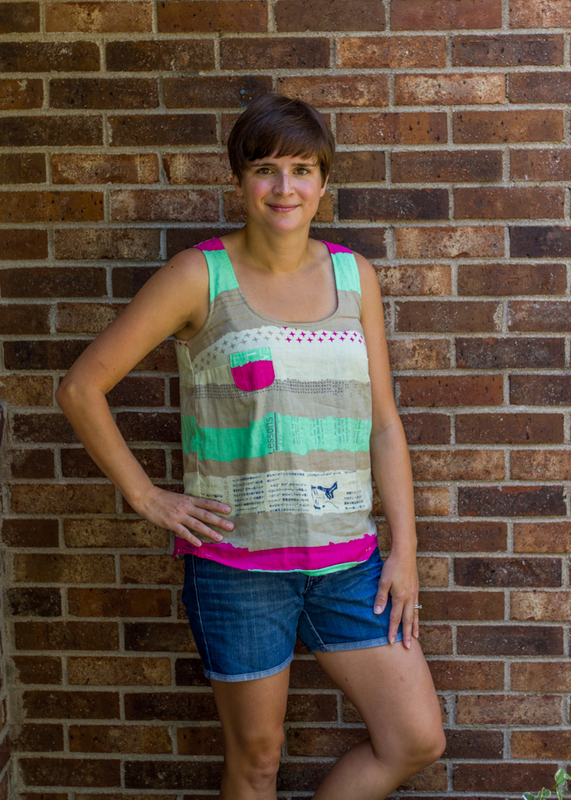 This entry was posted in Selfish Sewing and tagged cotton + steel, grainline studios patterns, tiny pocket tank by oliver's fancy. Bookmark the permalink.